We recommend getting video games that encourage your young children to help in saving the environment. Video games that focus on saving planet earth is a good way to encourage everyone in the family to recycle, save energy, and somehow contribute eco-friendly lifestyle advocacy. Countless research shows that families who are playing games and doing activities together, such as the famous angling, connect with one another far more naturally and can make those bonding moments last. There are several solutions to begin enjoying video games with the entire family. It is possible to have a game night once weekly if you really want to. You can also make a unique leaderboard on your family console so that everyone can make an effort to conquer each and every one’s high scores. You can start in two ways. Choose the environmental games and plan what works for the entire family. Work out the times that can accommodate each member. 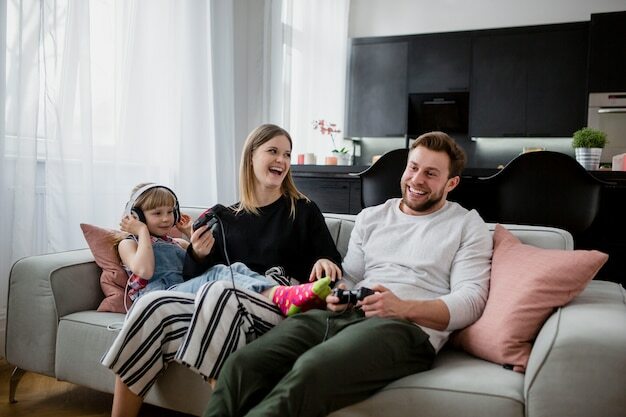 With a tiny effort and hard work, virtually any household can begin having play nights more often. The kinds of environmental games you could enjoy are plenty. Board games with an environmental theme are an excellent way to promote interpersonal connection with your young children since they genuinely get everybody conversing with one another! Instructional games on recycling could train your children well. You could find a variety of games that can both teach your children, whether it be mathematics, language, or science. There could be an even more serious game player in your household already, or perhaps it could be you! For the serious member of the family, games that demand more competence could well be exciting to try. Teach the others how the basics of the game. The moments that you spend with your family is priceless. So start organizing game nights focused on an environmental change to start raising awareness in your family and in order to reach out and get to know each one better.